Ros (pronounced Rose) Hommerson revels in designing shoes that fit perfectly with plenty of "presence," even for hard to fit feet. Cushioning under the foot is always ample, with ultra-padded and supportive insoles. Drilex® covered footbeds with anti-microbial properties, and tricot linings for softness. Durable outsoles of rubber, or leather. Imported. 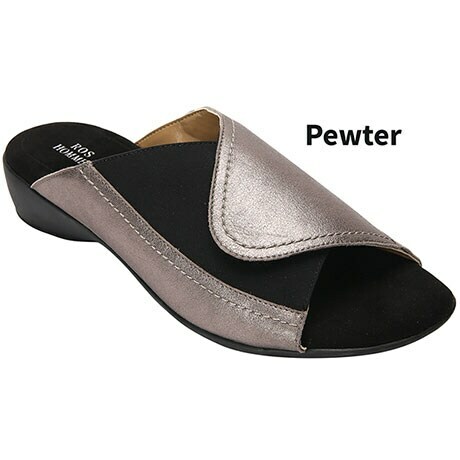 With a forefoot that's entirely adjustable - with hook and loop adjustments in the crossover - this sandal can accomidate feet that change size throughout the day. 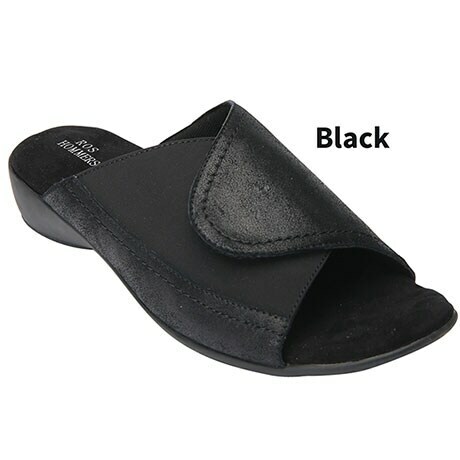 Leather details and small heel height make these sandals comfortable for all day walking. Not available in Slim (4A).